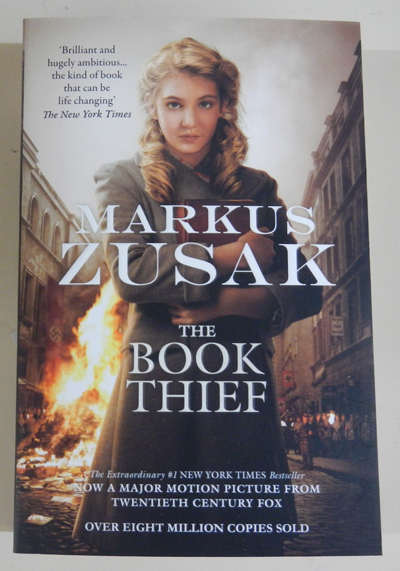 Poised to become one of the biggest films of the year, The Book Thief by Australian author Markus Zusak is a novel that you should definitely add to your reading list, if you have not yet done so. Set in Nazi Germany in 1939, and progressing throughout the war, the novel tells the story of a young girl named Leisel, who, while standing beside her little brother’s graveside, sees a book partially hidden in the snow. Picking it up, she decides to claim it as her own, intrigued by the words that are printed upon its pages. But despite her interest, she hasn’t learnt how to read, and it isn’t until she moves in with Hans and Rosa Hubermann (a foster family) that she begins her education. From this moment on, she begins a love affair with books, and begins to steal them whenever she sees them, be it at a Nazi book-burning, or from the private library of the mayor’s wife. Meanwhile, danger is everywhere as the Second World War progresses and no one is safe with the constant bombings and raids. When Hans offers sanctuary to a Jewish fist-fighter named Max- hiding him in the cellar- their lives become even more endangered, but with that danger comes a new appreciation for life and human kindness. Written from the perspective of Death, and featuring diagrams, drawings and different text fonts, this novel is quite unique. The story, which is an international bestseller and has been published in over forty languages, is also very heart-warming and extraordinary, with an uplifting message despite the holocaust setting. Do yourself a favour and make sure you read this book. Back in 2008, just before the American presidential elections, Washington Post journalist Wil Haygood had a hunch that the world was about to see an important historical event take place- the election of America’s first black president. In anticipation, he put the call out to see if he could find someone- preferably with links to the White House, and who experienced the segregation of the South- who he could interview regarding the momentous event. As luck would have it, he was able to track down Eugene Allen, a butler who served eight different American presidents and their families over a 34-year career. After spending time with Eugene and his wife Helene, Haygood wrote his article, which was published worldwide, and spawned talks with Hollywood producers about bringing Eugene’s story to life on the big screen. Unfortunately, he and Helene didn’t live to see this happen, but they were able to cast their votes to elect in Barack Obama- a result they were obviously very pleased with. Eugene’s story is extremely interesting, and I was surprised this relatively short book didn’t cover his life in more detail, or even feature the article that brought his story to prominence. 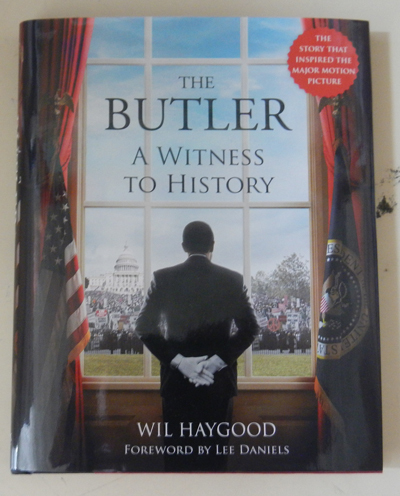 Instead, less than half the book is about him, and the rest covers Hollywood, it’s reactions to ‘black’ cinema, and the production of the film The Butler which is based on Eugene Allen’s life. On the plus side, there are two sections of photographs to look at- some from Eugene’s personal collection of life in the White House, and some from the film production. This book would be a good accompaniment to the movie, but I don’t consider it to be a detailed biography of an otherwise remarkable man. With Thalia’s tree poisoned, and the magical defences of the camp boundaries down, Percy must find the Golden Fleece, the only thing that could potentially save them. Not only that, but his best friend- the satyr Grover- is in terrible danger, and only Percy knows where he is. 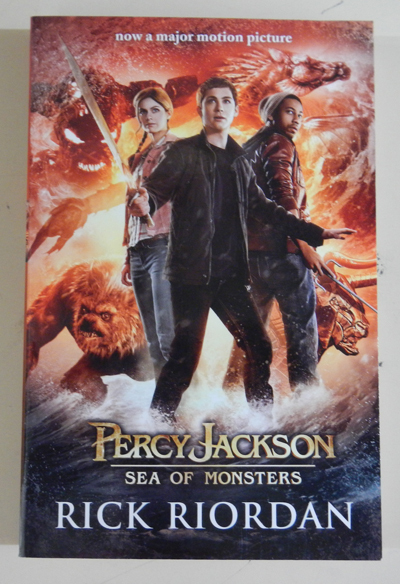 Enlisting the help of his friends Annabeth and Tyson, Percy travels to the Sea of Monsters, hoping to save both the camp and Grover. The action in this book is constant, and I imagine that the film will make good on this with dramatic special effects and fight scenes. Even though this series is aimed at boys in the 10-12 age bracket, these books clearly appeal to people from all walks of life, and are worth picking up for a little bit of fun and adventure.